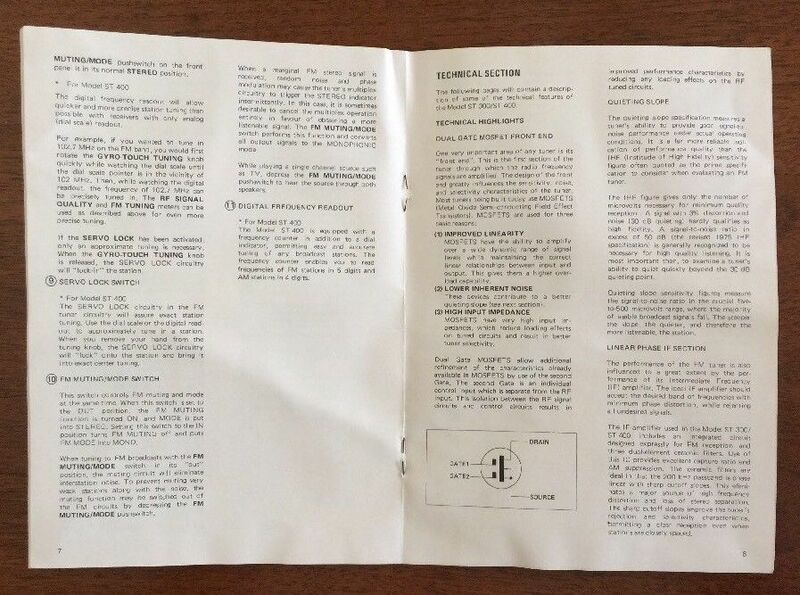 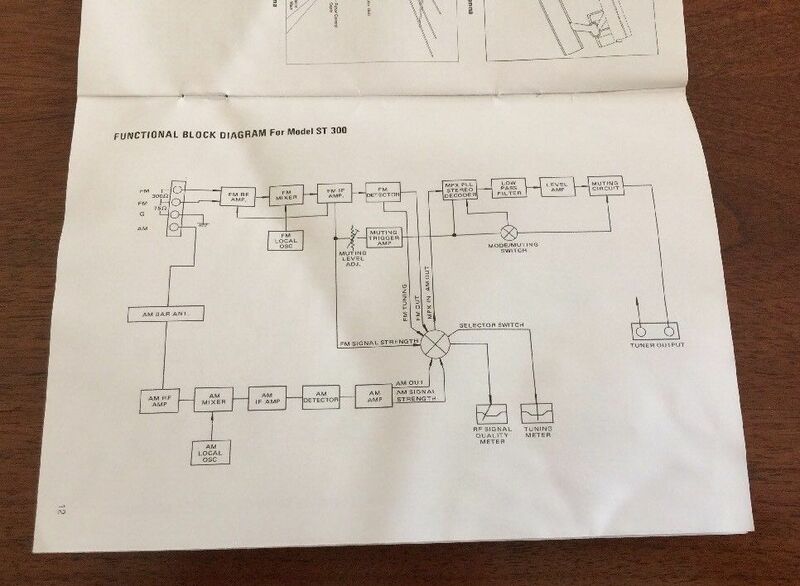 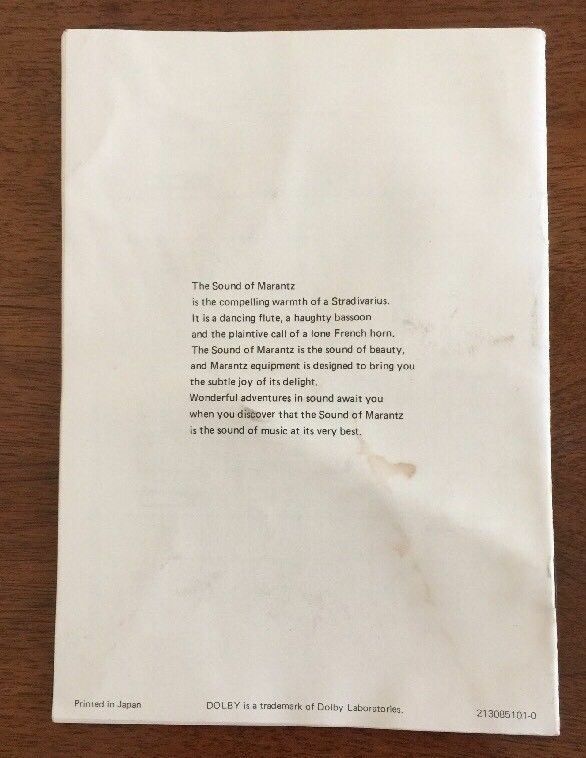 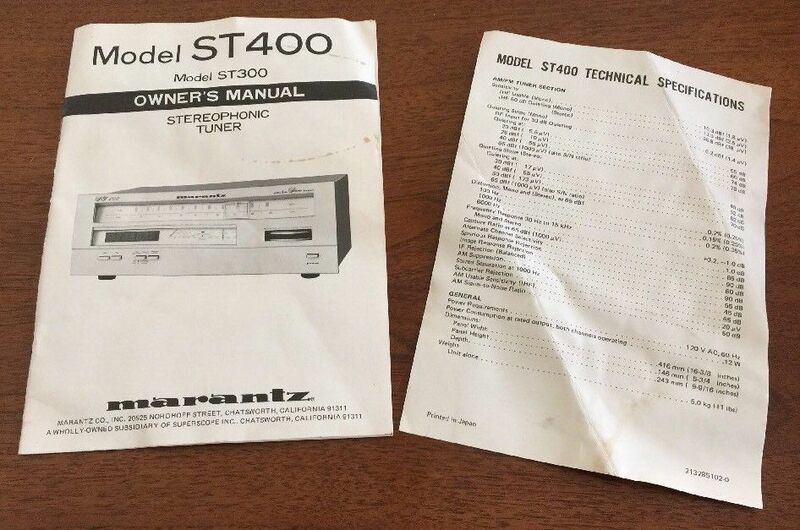 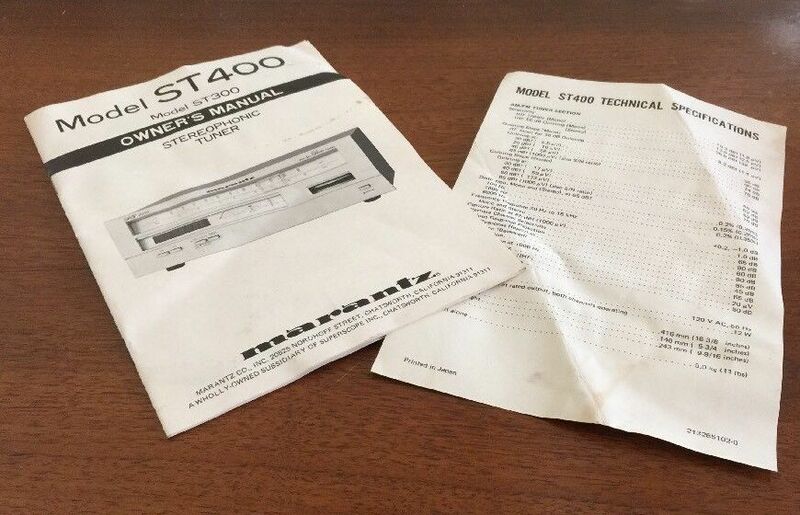 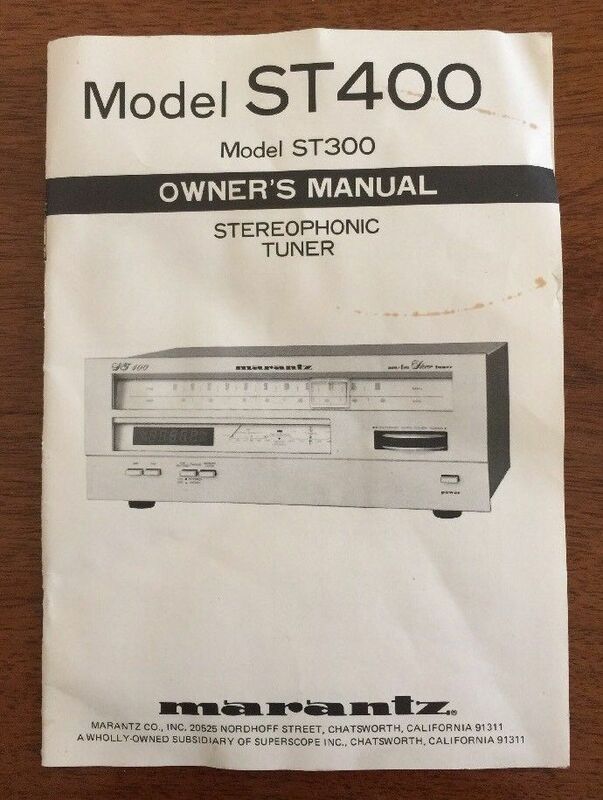 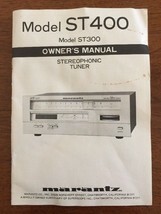 Original manual for Marantz ST-400 Tuner. 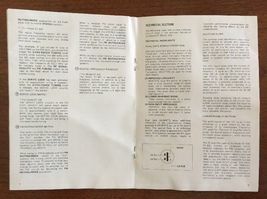 Some signs of use, mostly some creasing, no holes or writing. 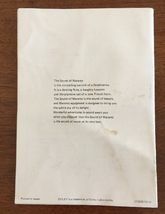 Ships same or next day I am an experienced online seller and take pride in my work, it's my only job. 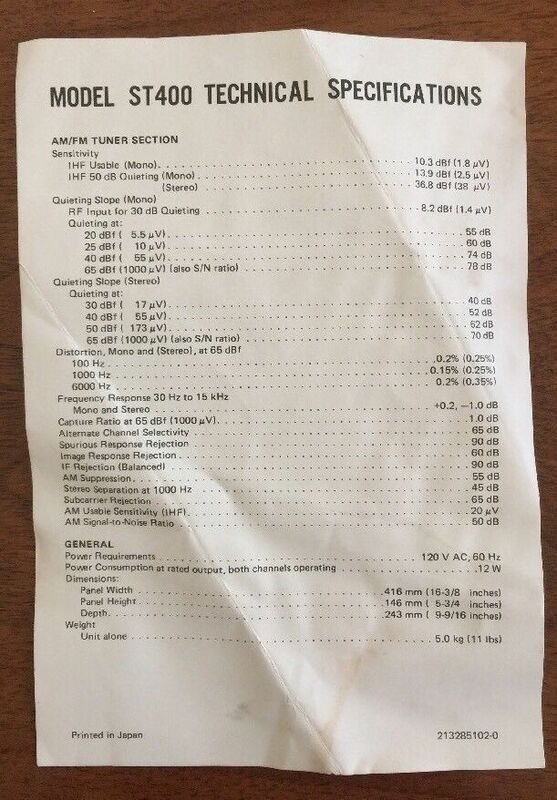 Retired USAF. I have a shipping department dedicated to secure packaging. 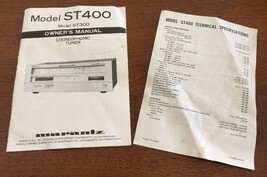 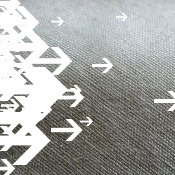 Satisfaction Guaranteed 30-Day Return Policy Questions Encouraged Before the Sale Unlimited Email Support After the Sale Professional Packaging With Attention To Fragile Items We Email USPS/FedEx/UPS Tracking Numbers All Items Fully Tested where applicable Serving Customers On line Since April 1999 Thank You!